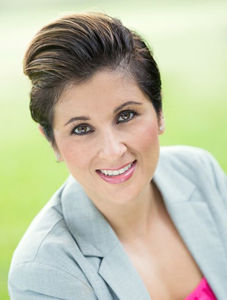 Boca Raton Immigration Attorney Isabel Castillo was a panelist at the 8th Annual Spanish Language Celebration on March 21 at the Palm Beach State College Palm Beach Gardens Campus. The event is dedicated to Spain, Central America and the Caribbean, Mexico, and the Americas. The day often includes music, food, dancing, poetry and special lectures that celebrate Spanish arts and culture. Attorney Isabel Castillo joined fellow panelists, Immigration Attorney Aileen Joseph, Immigration Attorney Jill Hansen, and Student Government President Addily S. Diaz to address The Trump Agenda and Immigration to the U.S. The full day celebration also included a welcome from Edward Willey, Dean of academic affairs, PBSC, Mike Ambrosino’s experience as a Peace Corps Volunteer in Costa Rica, Professor’s Jenifer Skolnick and Emmanuel Alvarado discussed Themes in Modern Latino American Cultural Naratives and the film, Y Tu Mama Tambien, was presented. The learn more about Palm Beach State College’s Spanish Language Celebration, please visit: http://www.palmbeachstate.edu/events/spanish-celebration/.